We are pleased to announce that GetQuorum and Minutes Solutions have partnered! To celebrate this, GetQuorum is offering a 10% discount on some of their services, if booked through Minutes Solutions in the next 30 days (restrictions apply). GetQuorum has created a brilliant solution that enables condo buildings to easily meet quorum by collecting proxy votes electronically, and saving the corporation time and money on printing costs. The following is a brief write up that sheds a little more detail on our new partner, and how they can help your condo community. Quorum is a six letter word that can strike dread in any property manager or condo board director, especially if it seems like an uphill battle to achieve it. GetQuorum was created as a solution to this very problem. Co-founders Ben Zelikovitz and JJ Hiew experienced firsthand the struggles of reaching quorum at AGMs as directors of their own condominium corporation. The GetQuorum online proxy voting platform was developed by condominium directors with technical and legal backgrounds to modernize the process of proxy voting. GetQuorum helps condominium corporations efficiently increase the number of proxies collected for Annual General Meetings (AGM), and reduce printing and mailing costs for AGM packages, bylaw changes, budgets and other mandatory governance related communications. More proxies mean corporations can meet their goals reaching quorum, elect directors or pass bylaws. GetQuorum’s online proxy voting platform and meeting notice distribution service has helped countless condo corporations reach quorum, pass bylaws, and boost owner engagement while saving costs on printing. The simple to use platform guides owners through the proxy process. GetQuorum works on mobile phones, tablets and desktop devices. There is no app to download and install for the user. The owner just needs to click on a link to start the proxy process. The platform is customizable depending on the meeting agenda. To best utilize GetQuorum’s service, it is recommended that clients contact them at least 30 days prior to the meeting, though they have done it with far less. This will allow ample time to setup, run a pre-consent campaign for online distribution of the meeting package thereby reducing your printing costs, and comply with the Condo Act on service of notice of your meeting. GetQuorum partnered with a condo that had never reached quorum since its registration. Faced with serving notice of meeting and distributing six years’ worth of financial statements, the client was looking at a meeting distribution cost of over $5,000 just to print and mail out the meeting packages alone. 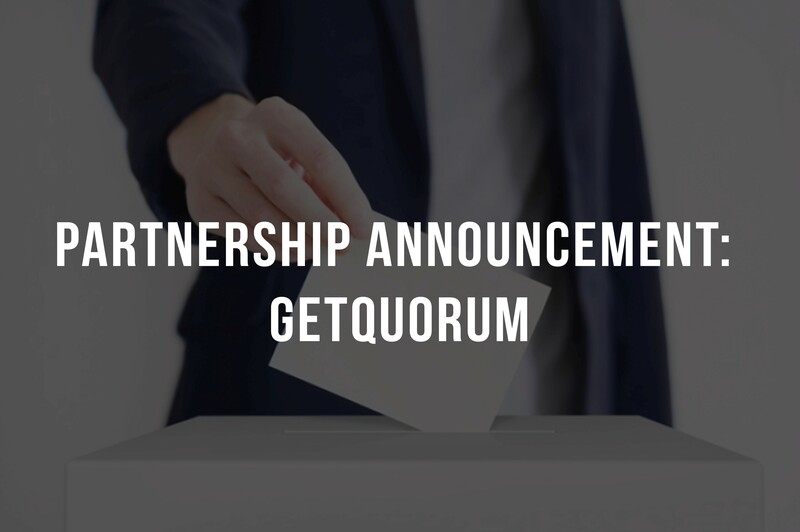 With GetQuorum’s assistance, the client was able to surpass the quorum threshold a week before their AGM, pass a crucial bylaw which translated to saving tens of thousands of dollars in operational expenditures, and over 60% reduction in AGM meeting package distribution costs. To read more about this case in detail click here. (https://getquorum.com/blog/getquorum-at-50-absolute/). For more information on this service, please email info@minutessolutions.com. The 10% discount is only valid for the next 30 days.